We would love to see you at our Open House on February 24th! Join us to tour our new facility in Thousand Oaks and to learn more about our treatment programs. 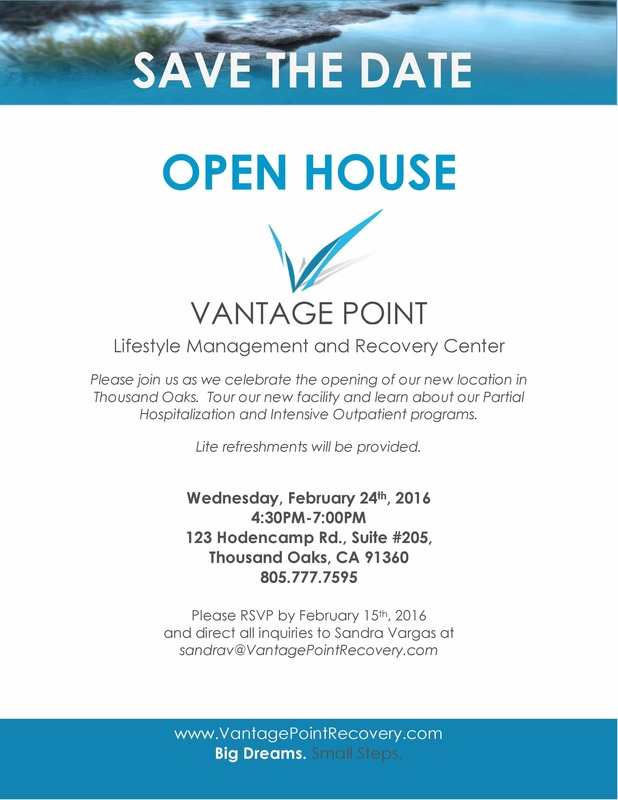 Please RSVP by February 15th and direct all questions to SandraV@vantagepointrecovery.com.